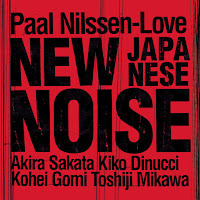 First three releases 2019 from the hardest working man in the business, Norwegian drummer Paal Nilssen-Love. Two more are to be released soon, one with the trio Arashi and the other with close comrade Ken Vandermark. The 2018 edition of the Danish Roskilde Festival challenged Nilssen-Love to put together two special groups. The first one was an ad-hoc, Japan-Noise oriented one, captured live on July 4th, 2018, and bringing together musicians from three continents. Three legendary Japanese artists - reeds hero Akira Sakata, who plays with Nilssen-Love in the Arashi trio, and two noise pioneers - Kōhei Gomi, known from the early nineties influential Pain Jerk project and one of the leading figures of the so-called dynamic style of Japanese noise, and Toshiji Mikawa, leader of the seminal pure noise project Incapacitants and member of the noise trio Hijokaidan, plus Brazilian Kiko Dinucci, leader and songwriter of the group Metá Metá, and Nilssen-Love on drums. If you think that you are already familiar with, or have adapted yourself to, the uncompromising levels of density and intensity of Nilssen-Love’ playing, as experience in his other projects - The Thing, in duo with Peter Brötzmann, or his collaborations with fellow-Norwegian noisemeister Lasse Marhaug and electronics player Maja Ratkje, think again! This group begins its performance with super-sonic, Shinkansen-like speed and tsunami-like power and just keeps accelerating its tectonic drive. 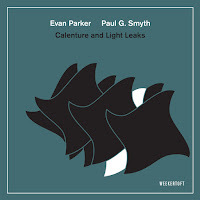 There are brief passages where Sakata and Dinucci alter course into more lyrical terrains, even surprisingly playful, free jazz ones like on “Eats, Shites and Leaves”, where Nilssen-Love spices the minimalist yet vivid noises with delicate cymbal work, before the group dives head on into another noisy storm. They reach their climax on “The Bone People” where Sakata takes the lead with a stream-of-consciousness angry speech than only him can deliver. 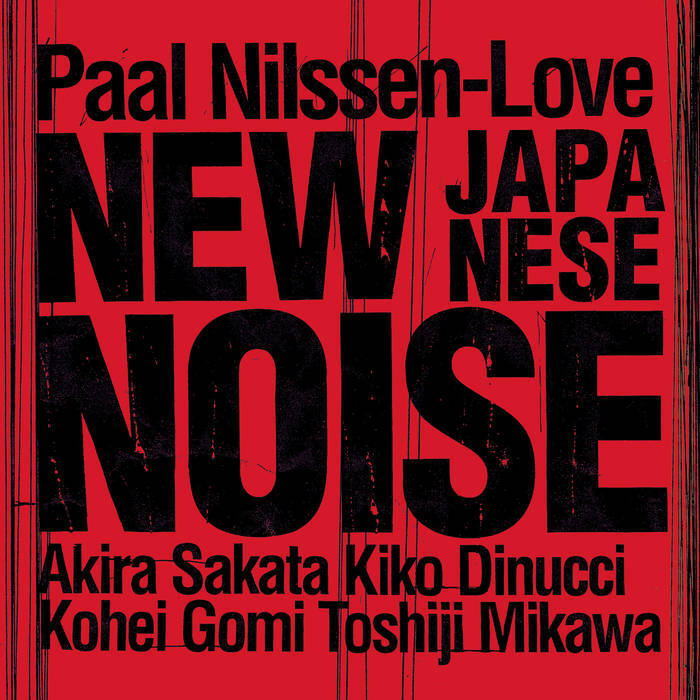 Nilssen-Love and his noisy comrades punctuate masterfully his speedy diatribe, actually orchestrate it, attentive to every nuance in Sakata inventive and highly rhythmic usage of Japanese onomatopoeia. Beware: this New Japanese Noise is going to pierce your eardrums - literally - then spread its noisy gospel all over your cortex until your whole skull will blink brightly, just as the shiny neon lights in Shinjuku. 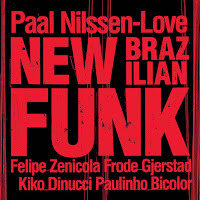 The next night Nilssen-Love presented his second group, the New Brazilian Funk, which had already become a working group after its joyful debut performance in Roskilde Festival. Nilssen-Love has been performing regularly in Brazil in the last decade, and has recorded there with local musicians, including with experimental singer-songwriter Arto Lindsay. 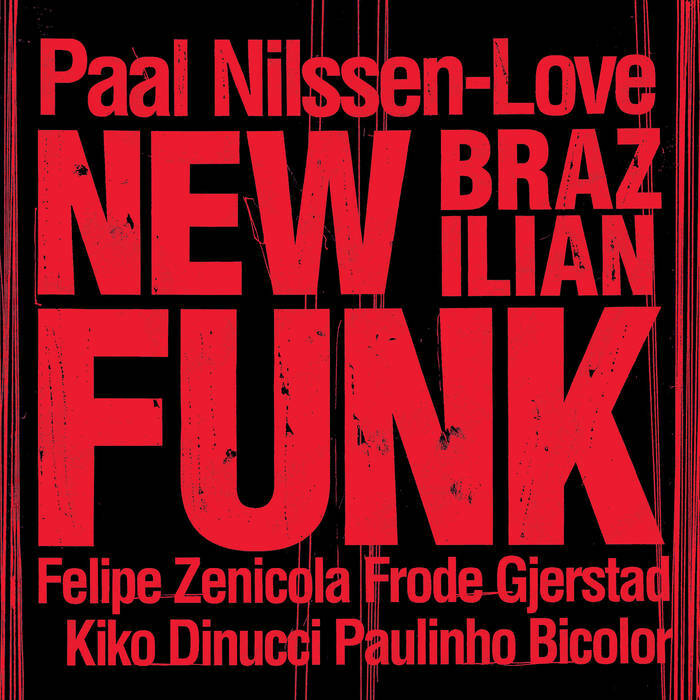 New Brazilian Funk brings together bass player Felipe Zenicola, known from the free-improv Chinese Cookie Poets trio, who has recorded before with Nilssen-Love (Bota Fogo, Bocian/QTV, 2014), guitarist Dinucci, who played the night before with the New Japanes Noise, cuica (friction drum) master and vocalist Paulinho Bicolor, who has collaborated before with Nilssen-Love’s Large Unit (Ana, PNL, 2016), and legendary Norwegian free-improv reeds player Frode Gjerstad, with whom Nilssen-Love has played with since he was sixteen and over the last three decades, often in Gjerstad Trio or as a duo. 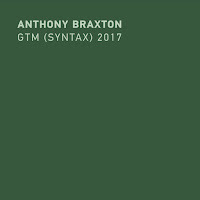 Calling this group New Brazilian Funk may be read as tongue-in-cheek description but the combination of rough and tough free jazz on top of sensual, tropical grooves work beautifully. Nilssen-Love and Gjerstad are at the gravitational center of this group but both offer plenty of room for their Brazilian comrades to to alter the commotion and introduce new colors and sounds. Zenicola, Dinucci and especially Bicolor, who already established a telepathic lingo with Nilssen-Love, don’t waste their time. From the first second of the opening piece, “Biggles and the Gun-Runners”, and further on the Brazilian musicians take Nilssen-Love and Gjerstad to some raw and wild samba dances, demonstrating how rhythm and most important, funky rhythm, is a vivi and quite capricious entity, built with countless layers and has many emotions and conflicting needs. Gjerstad is on top shape and sounds fantastic here - sharp and fierce, spirals into the stratosphere but integrates naturally his free-improv alto sax singing voice into the rhythmic celebration, Him and Nilssen-Love know how to navigate the massive waves of joyful, energetic vibes that reaches its climax on the last pieces “Fruit of the Lemon” and “Pick a Time”. New Brazilian Funk feels totally free, organic and full of positive and uplifting energy that will force even the most casual listener to stretch his limbs and experiment his best and most advanced Brazilian dance moves. Please, keep this funky thing coming. 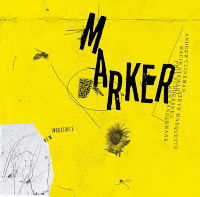 Boneshaker, the free jazz trio of Chicagoan reeds player Mars Williams, double bass player Kent Kessler, and Nilssen-Love, was established eight years ago, after the three musicians who all played in the Peter Brötzmann´s Chicago Tentet since 2002, wished to do something together. 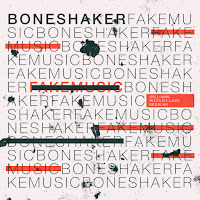 Fake Music is a live recording from Elastic Arts, Chicago, captured in January 2017 and is the fourth album from Boneshaker. The sarcastic title suggests that this trio joins the fight against global stupidity - as close comrade of Nilssen-Love, Mats Gustafsson, always emphasizes (and even led a trio called Fake the Facts), but it also holds some truth about Boneshaker aesthetics. 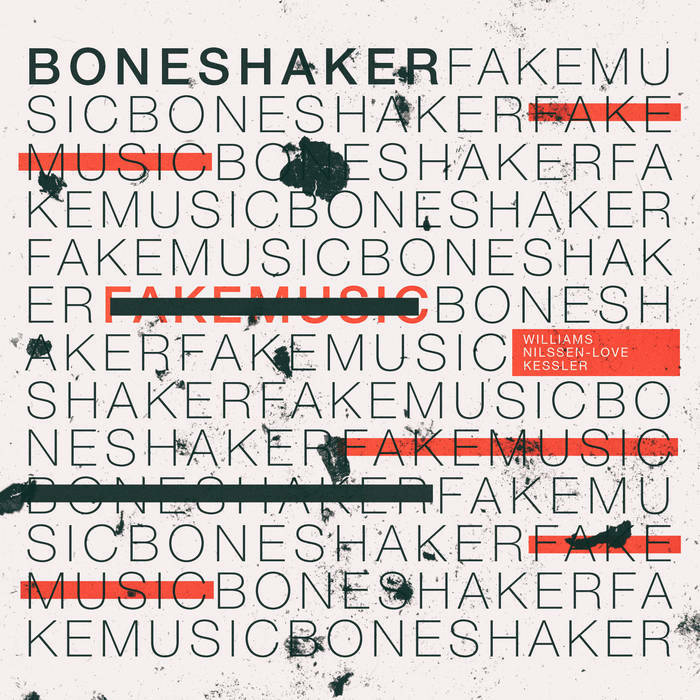 Boneshaker was never the typical power-free-jazz trio aiming to crunch your bones and explode in your ears. 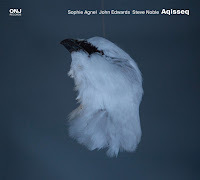 Sure, this trio can give any listener a deep sonic massage that would remind her or him to the most elastic qualities of the bones structure, but it will also seduce this kind of listener with soulful and delicate grooves. Boneshaker is a more than that. A tight unit that likes to investigate the outer fringes of music, explore ancient traditions and best of all, works perfectly when all influences are let loose. The three pieces highlight the elastic, open-minded spirit of Boneshaker. The first one, ”Miakoda”, begins rooted deeply in the fiery free jazz legacy, propelled by Nilssen-Love merciless drive, but mid-piece Williams transforms it into a lyrical and touching ballad. Then Nilssen-Love and Kessler introduce a ceremonial pulse that morphs into a gentle and quiet, African, kalimba-based song. 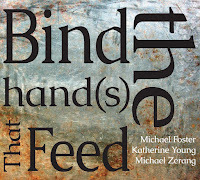 The following “Lovin' The Buzz” toys with playful bird calls from Williams, answered by the hard-rolling rhythm section, but also visits, in its fast ride, colorful Ethio-jazz and funky territories. Here, a bass solo from Kessler changes the spirit of this piece into a soulful one, but a potent soul mixed with free jazz. The last piece, “Echo Clang”, morphs from a mysterious and exotic ritual, possibly intended to exorcise fake facts and fake music from our world, into a cathartic celebration of real, bone-shaking music, totally free from any fake bones, music or facts.